Pure vanilla extract. No artificial colors, flavors or preservatives added. Certified Kosher. Non-GMO. Gluten-free. Please note: Gallons are temporarily unavailable, due to the current vanilla shortage. 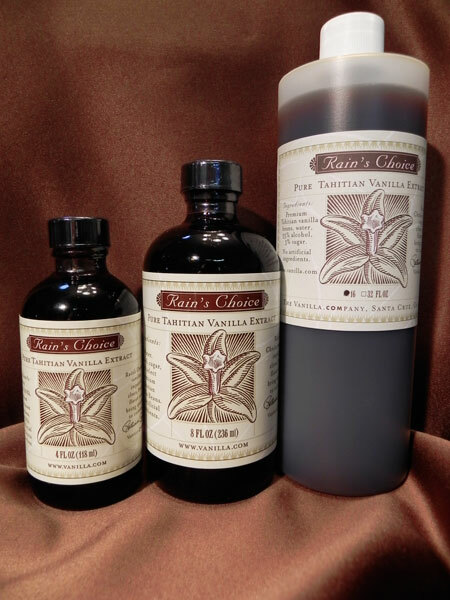 Why do Rain’s Choice vanilla extracts taste better? Our vanilla extracts contain 20% more beans than the competition! More beans equals richer flavor! Tahitian vanilla (Vanilla tahitensis) comes from Vanilla planifolia stock crossed with Vanilla odorata. It is classified as a separate species, as it is considerably different from planifolia in both appearance and flavor. 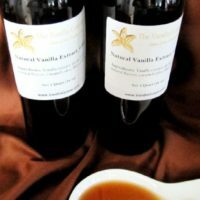 Tahitian vanilla is sweeter and fruitier and has less natural vanillin than Bourbon or Mexican vanilla. It has a cherry-like, licorice, or “raisiny” taste and floral fragrance. The Tahitian vanilla bean is more plump and moist than the Vanilla planifolia bean, and contains far fewer seeds. Tahitian vanilla is especially nice in fruit compotes and cream desserts as well as in sauces for poultry, seafood and wild game. Ingredients: Purified water, sugar cane alcohol (35%), premium Tahitian vanilla bean extractives. No artificial flavors or preservatives added. Certified Kosher. Non-GMO. Gluten-free. 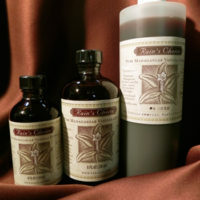 Vanilla extract has no expiration date, as the flavor improves with age. Best vanilla on the market, bar none. Anything I make that doesn’t have this vanilla is noticeably inferior.